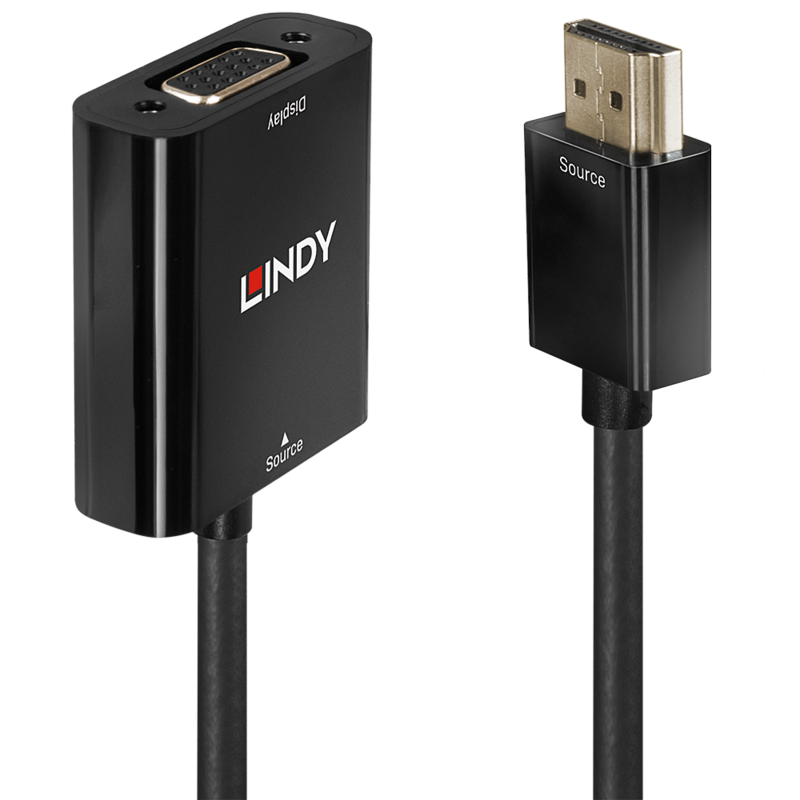 The Lindy HDMI to VGA converter converts signals from an HDMI equipped source into an analogue VGA signal. It supports resolutions up to 1080p and 1920x1200 for PC VGA displays. 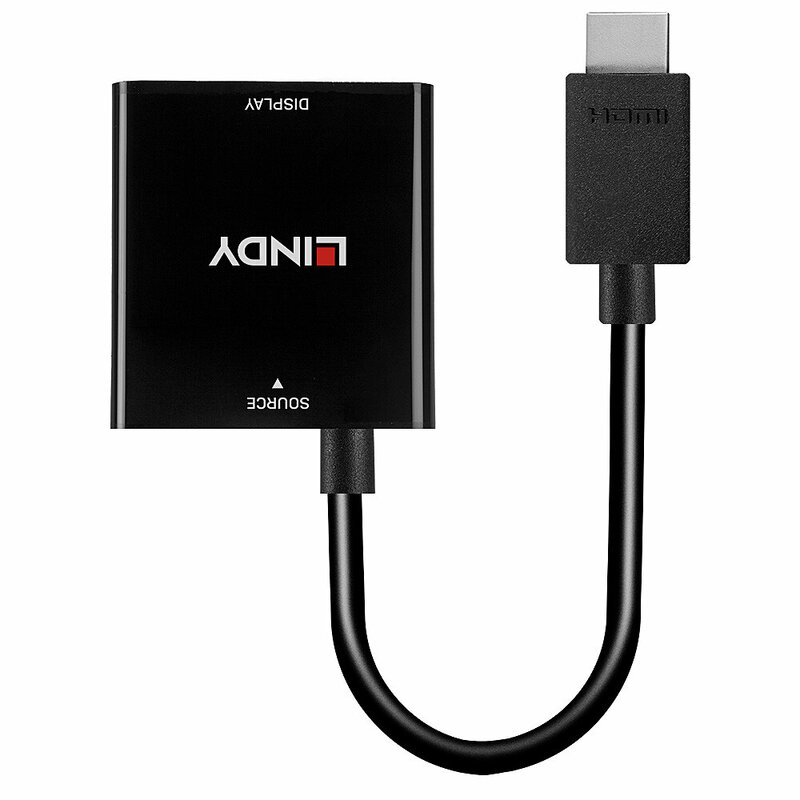 This allows the connection of modern HDMI capable devices, such as PC’s, notebooks and ultrabooks, to an older VGA display or projector. The compact dimensions mean it can be easily installed in restricted spaces, allowing for tidy installation behind PCs or for use with laptop workstations. The converter provides connectivity without the expense of having to replace legacy displays and cabling when upgrading to modern PCs or laptops.